Why should you buy A Maxi climber vertical climber? Today's busy life has seen many people lack enough time to exercise. As a result, the number of people embracing home fitness has grown. This has seen an increase in demand for efficient fitness equipment. Many people are looking for fitness equipment that is convenient enough to meet most of their fitness needs. Exercising at home can be a hard task. Why? One may ask. Individuals are likely to become lazy and lack the motivation to workout. One may also lack the right equipment, and the home environment may not be spacious enough. Maxi climber vertical climber home fitness equipment promises to counter all these challenges. 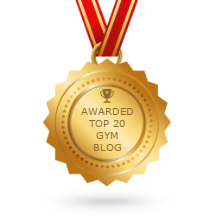 The following review shall provide insight on this incredible home fitness equipment. 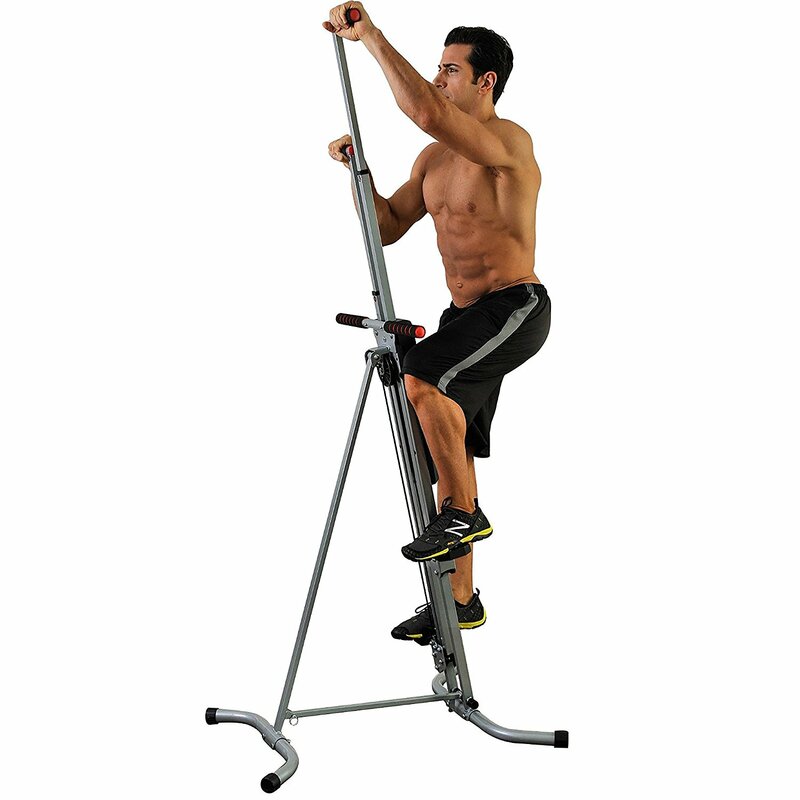 The maxi climber vertical climber exercise machine is specially designed to exercise the body core. This equipment is reasonably priced and easy to use. The maxi climber vertical climber works by emulating rock climbing movements. This enables the individual to exercise both the upper and lower body. The body reaps immense benefits from using the maxi climber. These include toning and strengthening. What are the features of the Maxi climber Vertical climber? The maxi climber comes with customizable 5 height settings. People with different heights can adjust it accordingly. 79 inches in height when fully extended. Treadmills and the Stairmaster cardio machines play the same role as the maxi climber. However, the former pays attention to the lower body and focuses very little on the upper body. The latter concentrates on the upper part of the body hence giving users a Maxi Climber total body workout. Additionally, professional fitness instructors have given good vertical climber reviews. This is a clear indication that the maxi climber has a high success rate. While exercising on the maxi climber, an individual's feet stay at the machine's foot support. This prevents the feet from an inharmonious movement which is likely to cause injury and pain. The Maxi Climber manufacturers have guaranteed fitness after 10 minutes of working out three times a week. However, extensive research from professional fitness instructors seeks to differ. It has been revealed that tangible results can be noticed after training consistently. Building up body resistance can help one exercise longer. Many of the Maxi Climber fitness reviews show that many users needed no help to assemble the climbing machine. This fitness equipment comes pre-assembled. The user does not require extra parts and complicated instructions to set it up. Individuals can start using it immediately after delivery. Maxi climber is made of light material. It can be conveniently stored in a corner after use without taking up a lot of space. This equipment is also foldable and can be kept in a convenient place. Maxi climber Vertical climber does not require a lot of training space. Its vertical structure makes it easy to use in restricted spaces. Maxi climber is reasonably priced. This equipment comes inclusive of a 21-day workout plan, a wall chart which is instrumental in following workouts, and a diet plan. Also included are 80 healthy meal recipes and 12 training songs contained on a CD. Even though Maxi Climber is made of lightweight materials, it is strong and durable. This equipment is likely to be used for many years. Maxi Climber comes with a one year warranty. Dissatisfied individuals are guaranteed their money back within 30 days. This equipment is one of the best home fitness machines one can own. Maxi climber supports a maximum of 240-pound weight. Its ergonomic structure includes customizable steel frames and standardized grips. These make users comfortable during exercise. Some metrics like the heart rate, distance, speed, etc. are missing from MaxiClimber. Some users find it difficult to track their burned calories during the exercise. However, these statistics can be seen at the end of the workout. That notwithstanding, Maxi Climber reviews indicate that users place it above its competitors. Exercising the upper part of the body strengthens and tones the entire body core. Maxi Climber is specially designed to concentrate on the upper part of the body. The effects of the exercise are spread on the entire body. Maxi Climber is more effective than other fitness equipment that concentrates on exercising the lower part of the body. This equipment does not put pressure on the joints. Therefore, users can workout as frequently as it is deemed. People who get irritated by fitness equipment noise will find Maxi Climber quite reliable. It’s quiet and individuals can even exercise at night with minimum disturbance to other people. The equipment is stable and can be used without fear of falling. Monitoring the available metrics on the timer is difficult during the workout. Users can still read the metrics after the exercise, though. The machine does not increase resistance. However, people looking to build their resistance can burn extra calories by increasing their workouts. Regular exercises on Maxi Climber build strength and tone the body. Maxi Climber comes with adjustable height which has been widely appreciated. Whether one is tall or short, they can adjust the height according to their preference. A few users were not able to monitor their progress due to the placement of the console. However, that did not bother them too much as they still could see it after the workout. The intensity of workouts depends on how strenuous one’s exercises are. Some people felt that the equipment provided intense exercises. Many users appreciate the intensity stating that it has been instrumental in burning calories and eventual weight loss. Many people found the Maxi Climber quite effective in their workout plans. The fact that it is reasonably priced means that many fitness enthusiasts can afford it for their home fitness program. The Maxi Climber is durable and fun to use. It has a little shortcoming with the console. However, many users appreciate it as the best home fitness equipment of its caliber. There have been mixed reactions on Maxi Climber reviews YouTube. Many users lauded the fitness equipment for its affordability and convenience. The fact that Maxi Climber can be kept in a corner, under the bed or behind the door is a plus with many users. The workout can be intense. Have a water bottle to keep you hydrated during the exercise. A towel comes in handy too to keep the handlebars and the body sweat free. Wear a comfortable pair of shoes as the foot pedals can hurt bare feet. Start with warm ups. This prepares the body for intense exercises and prevents injury. Inspect the Maxi Climber before exercise. Scrutinize the pedals, handlebars and mount it to ensure comfort and steadiness. This prevents accidents. End a workout session on a slow pace. This cools the body down. One can carry out intensive research by reading Maxi Climber reviews online. Watching videos and reading the Maxi Climber reviews YouTube provides one with conclusive information. Place the feet on the foot pedals and the hands on the handlebars. The hips should be squared while the upper body remains still. Start with either the left or right foot. For example, push down with the left foot as the right-hand pushes the handle up. Repeat the exercise with the right foot and left hand. Continue with the exercise depending on the duration of your workout. 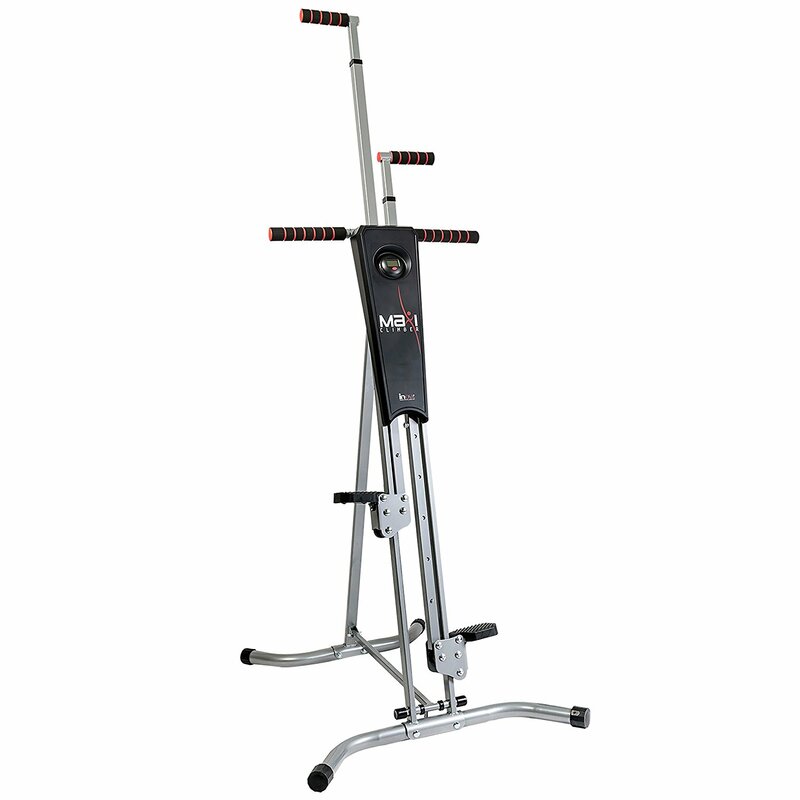 People looking to purchase the best home fitness equipment cannot go wrong with Maxi Climber vertical climber. This equipment is specially designed to be gentle on the knee joints. Individuals who are too busy or cannot afford the gym can opt for this reasonably priced fitness equipment. Using Maxi Climber can be strenuous to beginners. However, as they increase their resistance levels, so are their bodies strengthened. Eventually, they can withstand more intense exercises and burn a considerable amount of fat and calories. Exercising at home comes with its fair share of challenges. A beginner may not be able to understand the user guide for example. In such a case, consulting a professional fitness instructor is recommended.Check out our Conquer Vertical climber reviews.